Google Adwords needs no introduction. It is the largest advertising on the planet. Google harnesses the power of it's search engine to run ads above and to the side of it'search queries. When people type in a search query, and if that search query matches settings in an Advertisers Adwords Campaign (this might be you) your ad will show. You can show different types of Ads, depending on the words typed in the search engine. The Google Adwords Advertising Interface, albeit fully comprehensive as you would expect from the largest advertising network in the world, can be somewhat daunting. There are so many options inside the interface, it makes most businesses tremble at the sight of the platform. A lot of businesses try and start running ads and some might start ok, but for most business owners, it was a waste of money. And that can be due to a couple of factors. 1. Not understanding how to setup campaigns correctly. 2. 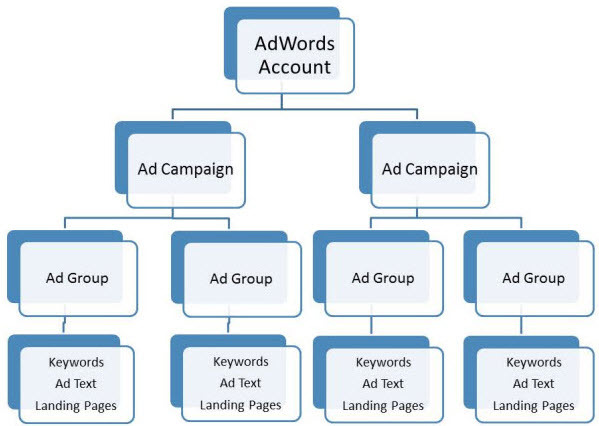 Not creating adgroups correctly and breaking up adwords into specific keyword groups. 3. Not Creating effective ad copy that influences people to click. 4. 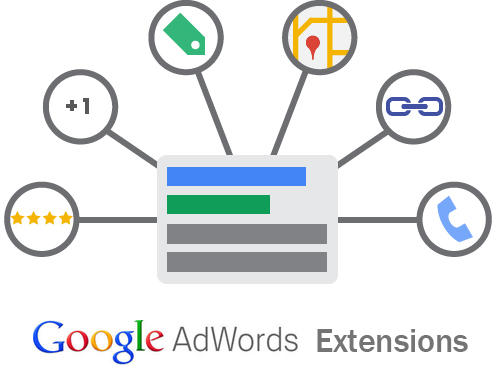 Not utilising the array of options available inside adwords using ad extensions (more on that later). 5. Not understanding the importance of quality score for your landing pages and ad relevancy. 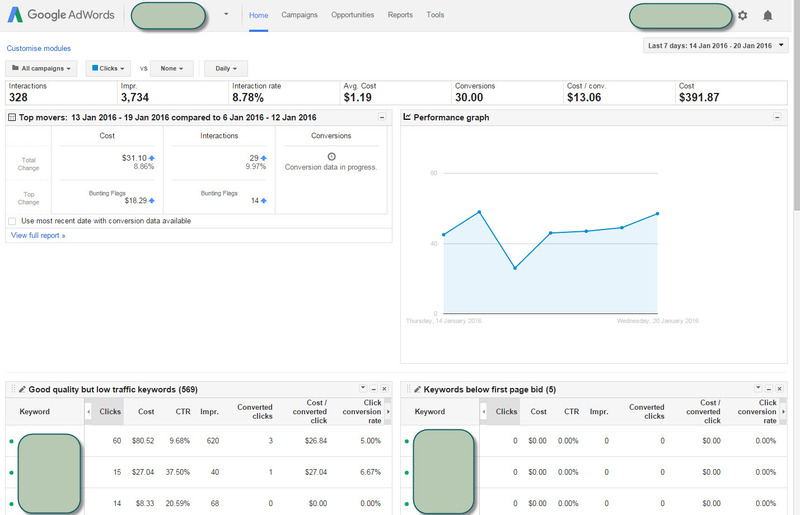 Campaigns is where you start your adwords. This is like the top of the funnel. This could be all of the ads you are going to run to one website, or you can have multiple campaigns targeting multiple websites, or different types of campaigns (if you had a shop) and each campaign is for each category. Settings – Inside here is where you choose which network you want (search or display), your location you want to target, languages, your budget, bid strategy, ad rotations, scheduleing and other settings. Setting up this area is very important to make sure your ads run correctly. Ads are extremely important as these are the words people see in your ads. When they type in a keyword to search inside Google, your Ad is designed to INFLUENCE them to click on your ad over all the other ads that appear. Your ad's must be relelvent, target those keywords people type in and must be prominent enough to grab the attention of the searcher. Utilising Ad Extensions help's your ad become more prominent also. 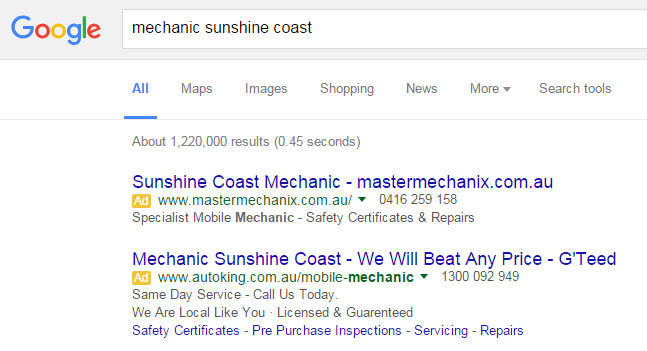 Ad Extensions are extra bits you can add to your Google Ads. The more extensions you have, the more information and larger your ad is. These extensions make your ad STAND OUT. All of these Extensions cost no extra to place in the ad. If you enable all of the available extensions in your advertising, you will be able to make your ad stand out and look much larger than your competitors and the Google Organic Results. These extensions allow you to add your phone number directly inside the add. No need for them to click, if they see the ad, and the number is in there, they can call it. These extensions are simply short statements about high lights or benefits you wish to express. Generally only a few words in length, these coupled with the other extensions really make your ad POP. This information is grabbed from your Google My Business account which you have to sync with your adwords account. It then places in your Google Maps location as well as your operating hours for the day. These are extra pages on your website that you also wish to promote. You can add up to 4 extra links to be displayed at any one time in an ad. If you have verified reviews on other websites or 30 or more reviews in your Google My Business Account in the last 12 months, You can place Google Review ratings and stars in your ads. 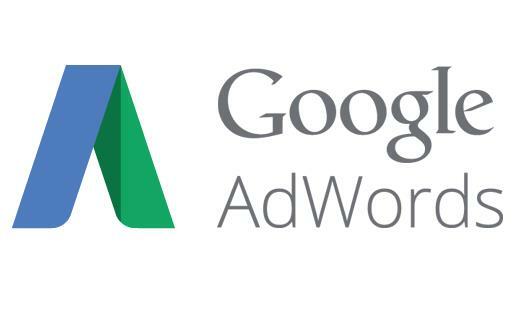 If you don't have your adwords account OPTIMISED CORRECTLY or have any ADWORDS EXTENSIONS setup, then we can help you.